It’s More (?) , Y’All! Newspapers as mulch . . . that was the edging treatment I had just put down beside our front deck. 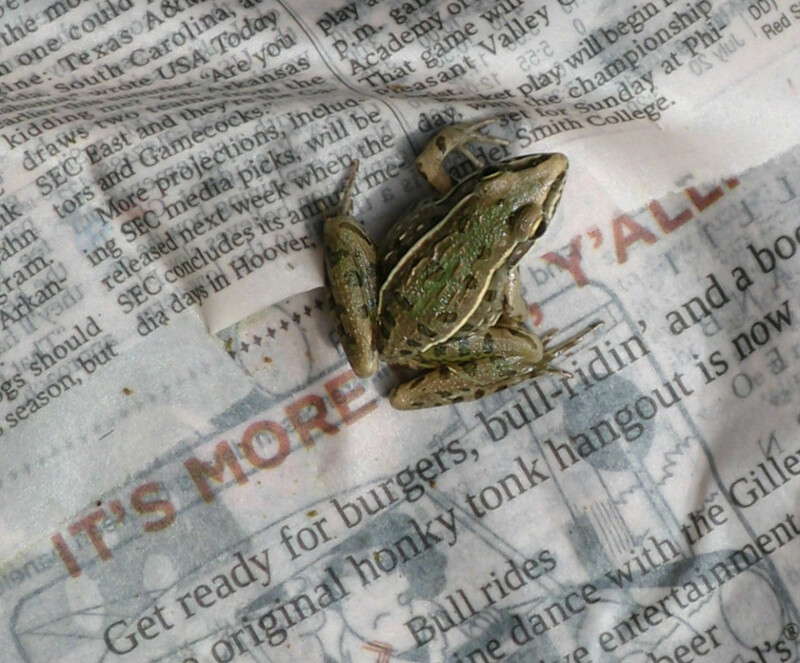 When I watered it with a hose to keep it in place, this little fellow hopped out. He courteously stayed put while I went inside, located my camera, installed its memory card, and returned. This entry was posted in Life and tagged Fun, Nature on July 18, 2013 by wayaclan.